“The objective of the war against Libya is not just its oil reserves (now estimated at 60 billion barrels), which are the greatest in Africa and whose extraction costs are among the lowest in the world, nor the natural gas reserves, which are estimated at about 1,500 billion cubic meters. In the crosshairs of the ‘coalition of the willing’ conducting ‘Operation Unified Protector’ there are sovereign wealth funds, capital that the Libyan state has invested abroad. There are a host of reasons the U.S. ruling elites and their European cousins and business partners are bombing Libya. Obama, “The Mad Bomber,” and the sock puppets in the corporate mind control apparatus tell us this war is a humanitarian mission, an Orwellian oxymoron if ever there was one. How can killing and maiming people serve to benefit humanity? We know Libya has massive oil and natural gas reserves and any time you see the elites’ GOD – gold, gas, oil and drugs – you know the Luciferi are licking their chops to steal and expropriate it all. However, in the case of Libya, the elites are moving on that country because Col. Muammar al-Qaddafi is a thorn in their side. Two years ago, Qaddafi, in a talk with U.S. students at Georgetown University, threatened to nationalize Libyan oil and natural gas due to the low prices. In addition he has been a staunch advocate for pan-African solidarity and independence from the European neo-colonial powers. Libya is one of the few countries not stuck in the spider web of the international money lenders and vampires of the International Monetary Fund (IMF), World Bank and Bank of International Settlements. That alone is enough for these psychopaths to put out a hit on him. “For many years, the BIS kept a very low profile, operating behind the scenes in an abandoned hotel. It was here that decisions were reached to devalue or defend currencies, fix the price of gold, regulate offshore banking, and raise or lower short-term interest rates. In 1977, however, the BIS gave up its anonymity in exchange for more efficient headquarters. 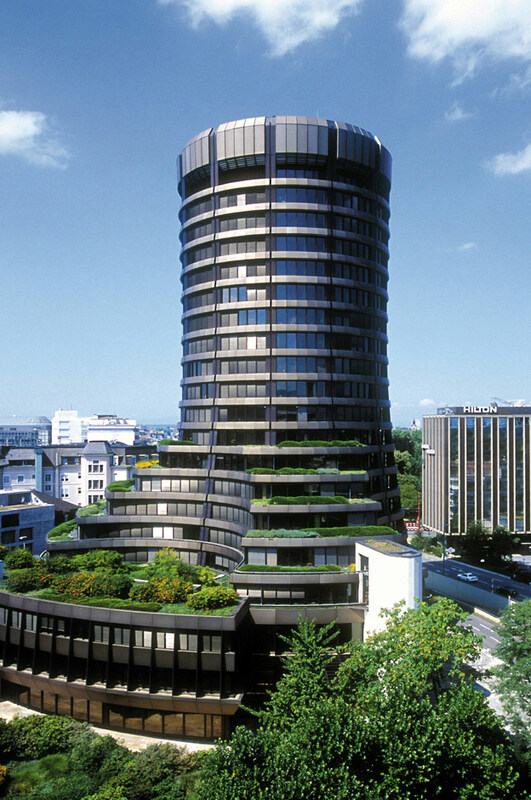 The new building has been described as ‘an 18-story-high circular skyscraper that rises above the medieval city like some misplaced nuclear reactor.’ It quickly became known as the ‘Tower of Basel.’ Today the BIS has governmental immunity, pays no taxes, and has its own private police force. It is, as Mayer Rothschild envisioned, above the law. In addition to Libya not being a part of the global central banking system run by the Bank of International Settlements out of Basel, Switzerland, Qaddafi irritated the global financial elites by lending money and supporting projects throughout Africa that were taking profits from the IMF, World Bank and the BIS loan sharks. Qaddafi was costing them billions in interest and the ability to swoop in and steal the country’s assets once the countries got in over their heads in IMF and World Bank debt. In addition to that, Libya was investing its oil and gas wealth in other countries around the world. This accumulated capital and surplus is called sovereign wealth, and Libya had a lot. The operative word here is had. The global thugs and their henchmen coveted these funds and like all thieves and crooks they couldn’t wait to get their hands on this money. So they bum rushed Libya, using the pretext of helping the rebels who they instigated into insurrection so they could get their filthy hands on the oil, gas and sovereign wealth of Libya. Stealing this money will have a devastating impact on African development and economic independence. Dinucci continues: “The assault on the Libyan sovereign wealth funds will have a particularly strong impact in Africa. 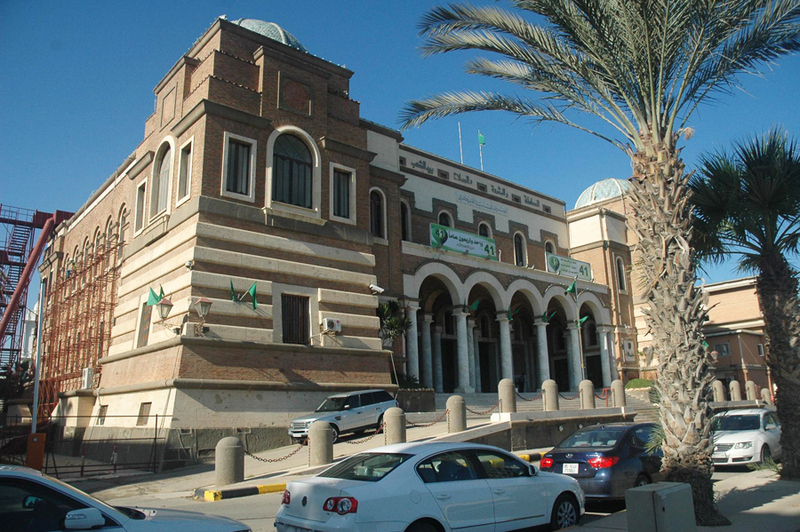 There, the Libyan Arab African Investment Co. had invested in over 25 countries, 22 of them in sub-Saharan Africa, and was planning to increase the investments over the next five years, especially in mining, manufacturing, tourism and telecommunications. 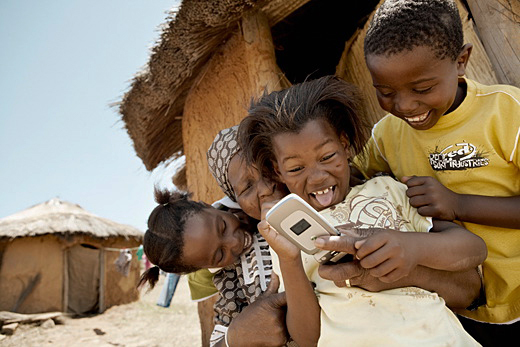 The Libyan investments have been crucial in the implementation of the first telecommunications satellite Rascom (Regional African Satellite Communications Organization), which entered into orbit in August 2010, allowing African countries to begin to become independent from the U.S. and European satellite networks, with an annual savings of hundreds of millions of dollars. “BIS gold reserves were listed on its 2005 annual report (the most recent) as 712 tons. How that breaks down into member banks’ deposits and the BIS personal stash is unknown. Operating independently of these shysters and crooks who only deal with the private central banks that control their nations’ interest rates, money supply and monetary policy is a no no. By Qaddafi lending money to African nations, threatening to nationalize Libya’s oil and gas and making huge sums of money on his international investments, he was setting a precedent the BIS vampires could not allow. So the U.S. CIA and British MI6 funded provocateurs to create an internal crisis to give the banksters and oil conglomerates a pretext to send in their enforcement arm: NATO and the combined militaries of the U.S., England and France to instigate regime change and the theft of Libya’s wealth under the guise of a humanitarian mission. Don’t believe the hype. This is a straight up bogart to steal Libya’s wealth and resources. Junious Ricardo Stanton, writer and internet radio host on www.harambeeradio.com, can be reached at jrswriter@comcast.net. To read his commentaries regularly, subscribe to the Sons of Afrika listserve at http://groups.yahoo.com/group/SOA/. Minister of Information JR interviews Gerald Perreira for a second time, shortly after the U.S. and NATO began bombing Libya. Perreira lived and worked in Libya for decades and gives a brief history of some of the main players involved. The interview was broadcast on KPFA. "Ruling the World of Money"
"The Most Powerful Bank You Have Never Heard Of"
"The Tower of Basel: Secretive Plans for the Issuing of a Global Currency"
Libyan Arab African Investment Co.